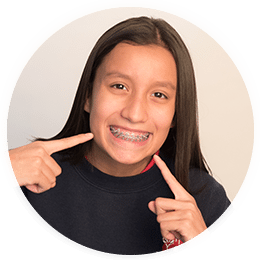 St. Louis Orthodontics specialist Dr. James Galea is committed to helping children, teenagers, and adults achieve their ideal smile through metal braces, clear braces, and Invisalign. At Cardinal, we treat your individual goals and eliminate excessive orthodontic treatment. Let us help you start your journey to a confident, beautiful smile! We invite you to take advantage of our free exam for your first visit. You can meet the team and learn more about the benefits of orthodontic treatment. Request an appointment at our conveniently located offices in Webster Groves and Ballwin. 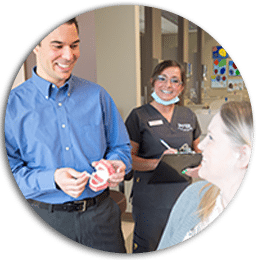 The doctors at Cardinal Orthodontics are exceptional. I appreciate the way they explained our treatment. It was very thorough and easy to understand. 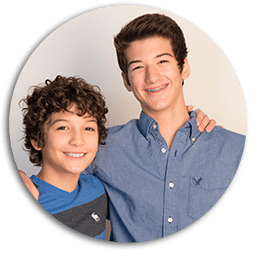 What I liked about having braces at Cardinal Orthodontics is, every time I came in for an appointment, everyone was so friendly and I never had any problems with my braces. I’ve always known that having a nice smile definitely helps with your confidence and overall happiness. Before I came to Cardinal Orthodontics, I was very self-conscious about my smile and I didn’t like to smile in photos. Throughout the process of having my braces, I quickly noticed the progress my teeth and self confidence were establishing. Cardinal Orthodontics is a great place, with a very friendly environment! I would recommend Cardinal to everyone I know!